Mmmm.... ice cold margaritas- served in Mason jars! Our friends at Relish! sent over this deliciously summery margarita recipe for your next backyard get- together! Shake, Rattle and Let’s Roll! If you're looking for a fun idea for the lake, the beach or backyard, let's look to our friend and fine inventor, John Landis Mason. 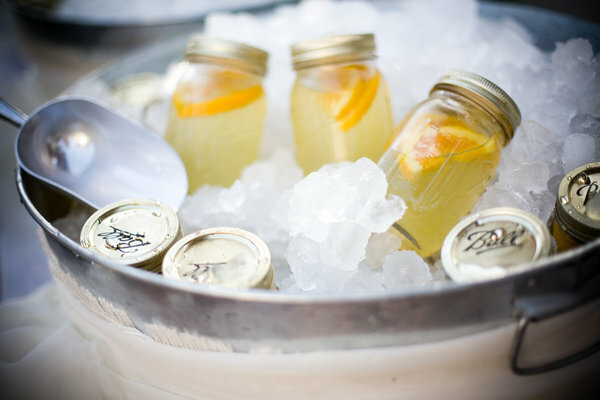 The ever-handy Mason jar is the perfect container for our favorite margarita, spiked lemonade or homemade iced tea. The extra bonus of the tight fitting lid and the easy to drink mouth makes it truly a work of art. Mason jar drinks have been becoming the rage at weddings for the past season but we stumbled on the idea when trying to come up with a way to serve drinks on a party boat. Instead of the boring beer and hard lemonade drinks, we wanted to do something fun and unique. We started by pouring in vodka and lemonade, and then added lemon slices and mint for a garnish, and loved the fresh, colorful look. The guests went wild and the offerings increased to mojitos, Long Island iced teas and our ever-popular lake margs. They can easily be tossed into a cooler or a metal tub with plenty of ice to keep them cold. Some folks like to make cute labels for the lids and you can use different stickers for alcoholic and sans alcohol drinks. Keep this idea in mind for tailgating too. All you need is ice, jars and a vessel. The metal tubs look festive but a cooler works too. Here's a simple and popular Mason Jar Cocktail; the beer cuts some of the sweetness of the limeade. 1. Mix all ingredients together. 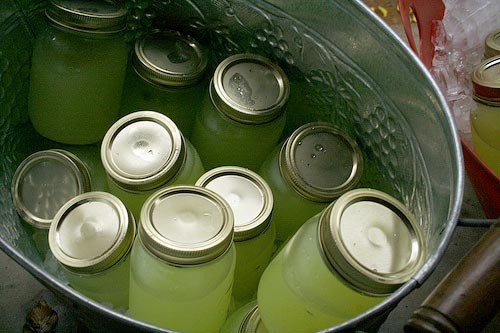 Add 1 slice of lime into each mason jar and fill with 1 cup of mixture. Place over ice to chill. You can also serve lemonade! What is Relish? It's meal planning made simple - and fun. And for the month of June, you are invited to try out the Relish! service at 25%! Just use promo code STAPLETON - but hurry - it expires on July 30th so let me know if you would like me to extend that.